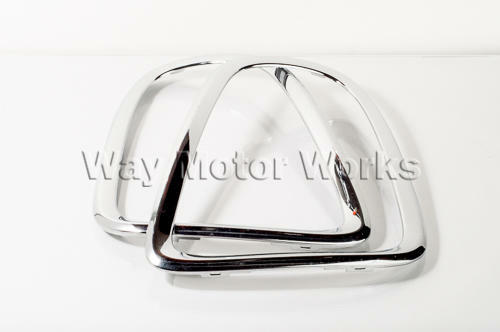 Used Chrome Tail Light Trim Rings R56 R57 R58 R59. This is a good used pair of chrome trim rings removed from the tail lights on an R56 MINI Cooper S to install the black trim rings. Very good condition almost like new.